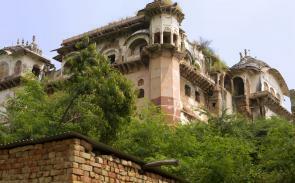 Founded by Maharaja Suraj Mal in 1733, Bharatpur is a city of Indian state of Rajasthan. The city is located in Brij region of the state. Known as the Eastern Gateway to Rajasthan, Bharatpur is located 55km west of the city of Agra which is famous for Taj Mahal. The city is headquarter of the district of the same name ‘’Bharatpur District’’. 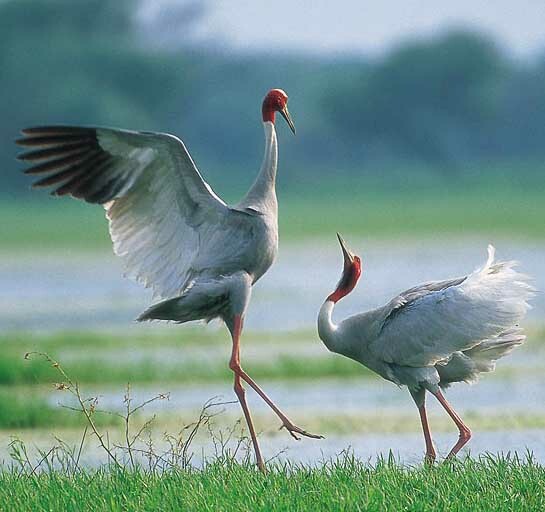 Popularly known for its bird sanctuary the city is a major tourist destination in the state. The temperature of the region is very hot during summer while it is pleasant during winter. The best time to visit the city is October to March. 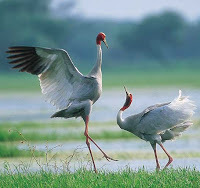 Baratpur is mainly known for its Keoladeo Ghana Bird Sanctuary. The sanctuary is UNESCO’s World Heritage Site situated in eastern Rajasthan. It was earlier the duck-hunting areas of Maharajas. Thousands of birds migrate here during the winter from other countries like Afghanistan, Turkmenistan, China and Siberia. About 364 bird species including rare Siberian Crane. The sanctuary is mainly known for Siberian Crane and it is the only habitat of Siberian Crane in the world after the Siberia itself. Keoladeo Ghana Bird Sanctuary got its name ‘’ Keoladeo’’ from the ancient temple devoted to Lord Shiva located in the central part of the sanctuary, while the word ‘’Ghana’’ means dense as the sanctuary has dense forest. Deeg is a small city located near Bharatpur. Deeg earlier was summer resort of rulers of Bharatpur. It also houses attractive gardens, crafty palaces, and vibrant market. Deeg was the capital of Jats of during 18th century. Deeg Fort, constructed in 18th century, is surrounded by wide shallow moat with the wall of the fort completing the peripheral distance of about 8 km. the fort has 10 entry gateways and is strengthened by 72 bastions. Suraj Mal Haveli located inside the fort displays typical Bengali curved bamboo roof. 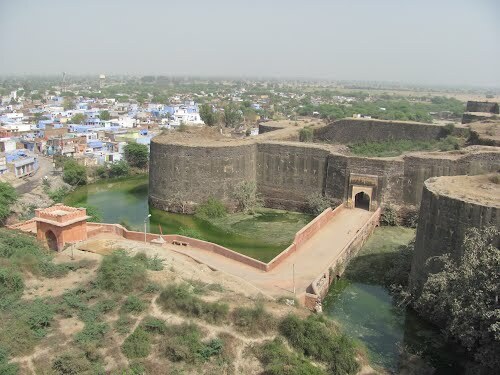 Lohagarh Fort, Iron Fort as it means literally, is constructed by Bharatpur Jat ruler king Suraj Mal in the early 18th century. There have been repeated unsuccessful attempts by British in the past to conquer the fort. The fort is said to the strongest fort ever built in India. 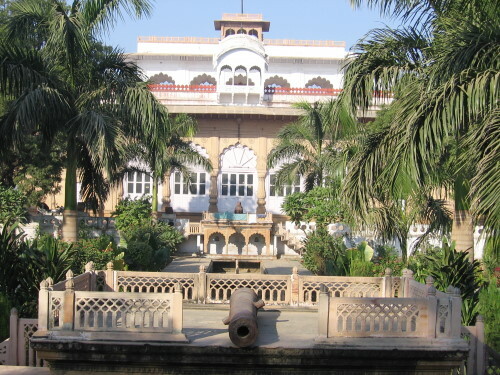 Bharatpur Museum is situated in the famous Lohagarh Fort. The Museum was earlier known as Kachahari Kalan. The Museum displays excavated sculptures, the artifacts of the first century, paintings, zoological specimens, local arts and manuscripts. Jawahar Burj, Fateh Burj, Ganga Mandir, Laxman Mandir, Nehru Park, Gopal Bhavan, Bayana Fort are some of the many other places of interest to be seen in and around the city of Bharatpur. Rail and road connect the city to other parts of the state and the country. Bharatpur is connected by trains to Jaipur, Ahmadabad, Delhi, Mumbai and many other cities and towns of the state and the country. Many state run buses and private luxury buses ply from other cities of the state and the country. Nearest international airport is in Delhi which is about 184 km away from Bharatpur and nearest domestic airport is Agra’s Kheriya Airport which is about 45 km away. Many worth visiting festivals and events are organized in Bhartpur. Brij Mahostava is organized in the Feb- March. Jasvant exhibition is held during Dussehara Festival while Gangaur and Teej festivals are organized in the month of March- April and July-August respectively.